The armchair Flora convertible into a bed is available in standard dimensions or can be custom made according to your needs. Shop on-line or in one of our showrooms, our furniture consultants are ready to assist you. Flora is a convertible armchair that can turn into a bed with horizontal opening; it is created to offer an additional bed combined with the exclusive details of a tailoring product. With its soft and light design and the easy and practical opening mechanism, the armchair Flora can easily turn into a single bed provided with an electro-welded bedstead and with polylatex mattress with removable cover. 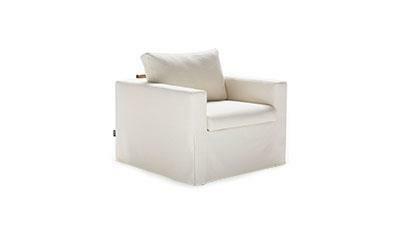 The armchair bed Flora is available with leather or fabric cover, completely removable. 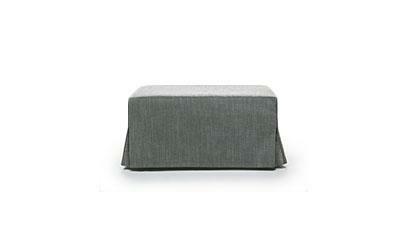 Upholstery: available with fabric, eco-leathe or leather. The cover is completely removable. A team of professionals makes the armchair Flora convertible into a bed. Our master artisans together with our interior designers will assist you in the process of customizing your armchair bed.